There are many WordPress restaurant templates available all over the internet, but if you want to boost your business the best way possible, you should choose carefully and find the one that fits your business best. 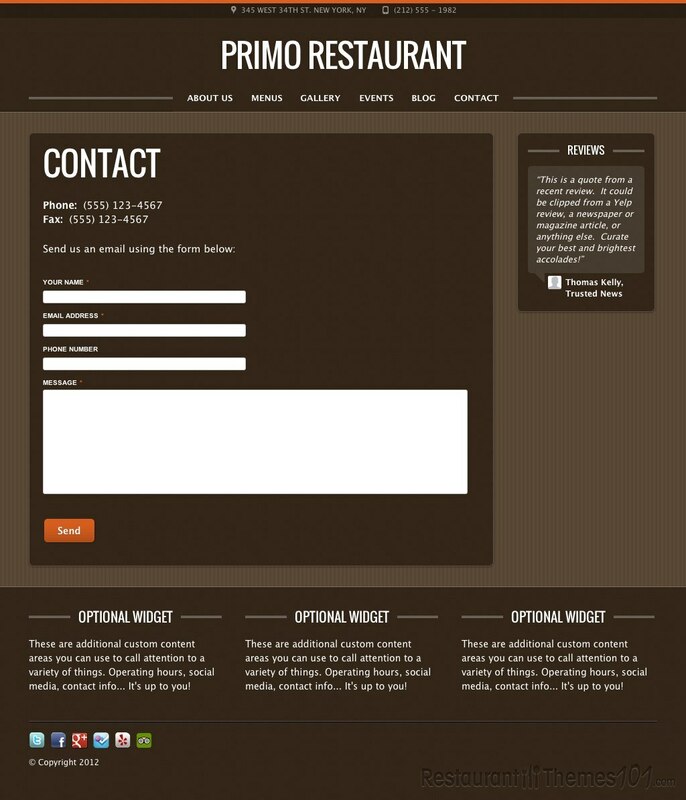 Primo is a modern, bold and lively template designed by Restaurant Engine. 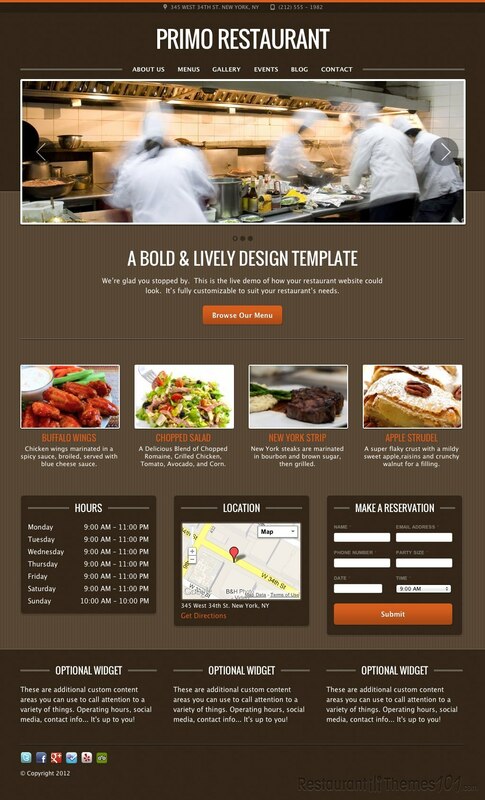 The template is built to suit any kind of a restaurant, bar or café you can possibly think of. It looks and feels exceptionally unique with pretty stylish details and a great modern mixture of high impact typography and nice subtle textures. 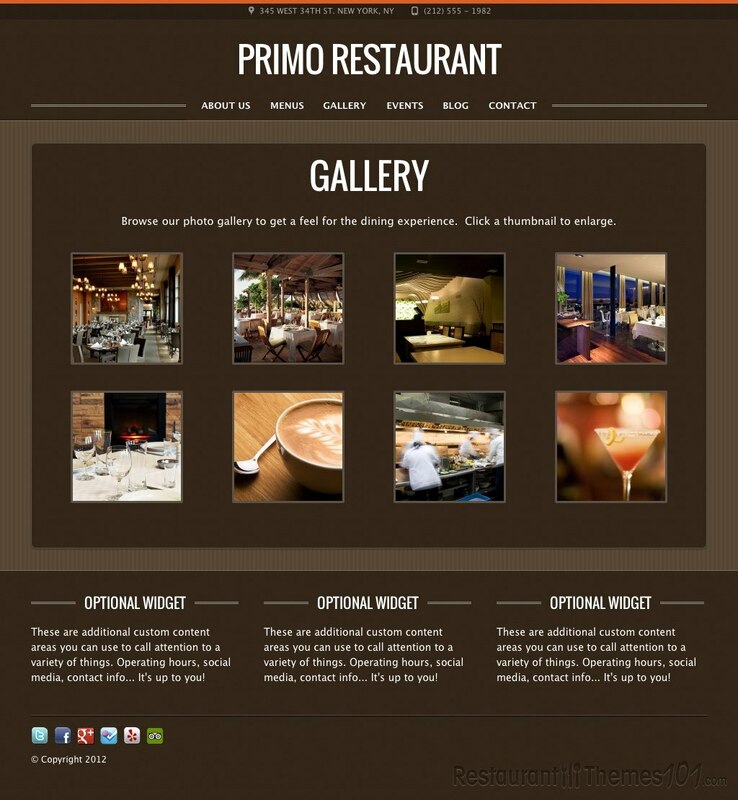 This is a high quality template and if you want to present your business in high class, Primo might be exactly what you are looking for. Primo has a very customizable design, you can choose your own logo, just like you can choose your own color style, change the fonts, and you can load your own photos. 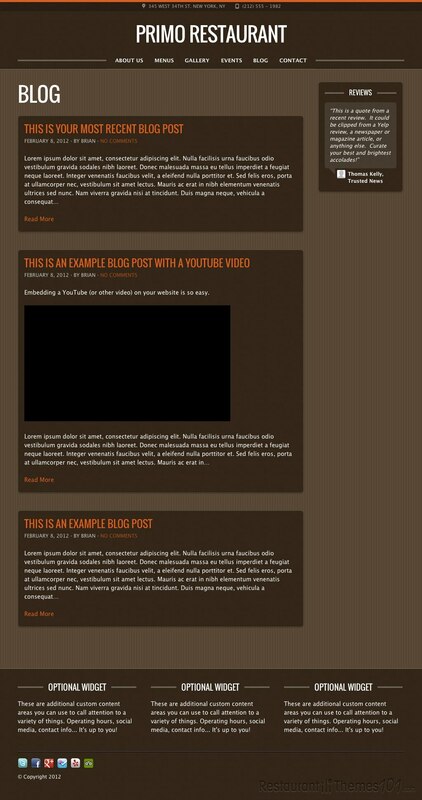 The menu section is very easy to setup, and yet it looks classy and attractive. You can keep your online menu updated at all times, and add your own photos, prices, categories and much more. 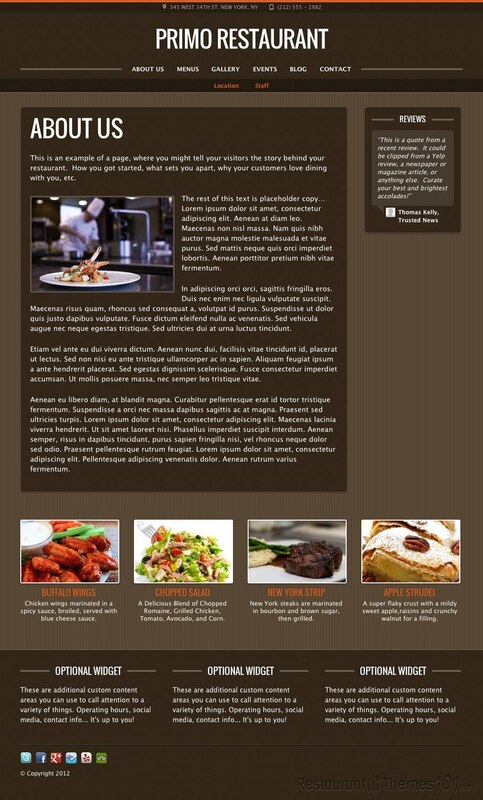 This theme offers few special options, such as Online Reservations. Your customers will be able to make reservations right there on your website, you can set this up easily by using a built in reservation form. Another important feature is the Events Calendar. You can announce any upcoming events you might be having using this great option, and you can also recap past events along with dates, maps, photos and much more. The template has Google Maps featured, so it will be very easy for your new customers to find your place in no time. In the photo and video galleries you can give your visitors the full experience of your restaurant, add numerous photos and embed your YouTube videos with just few clicks. 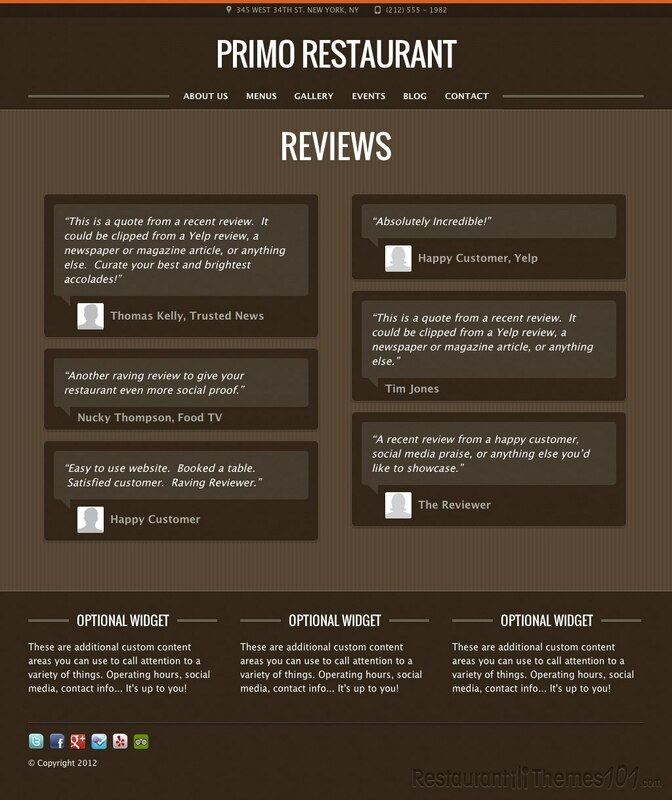 While we’re talking about special features, let’s state that Primo features more than just any common social network support, as not only Facebook and Twitter are supported, but also Yelp, FourSquare and Zagat. 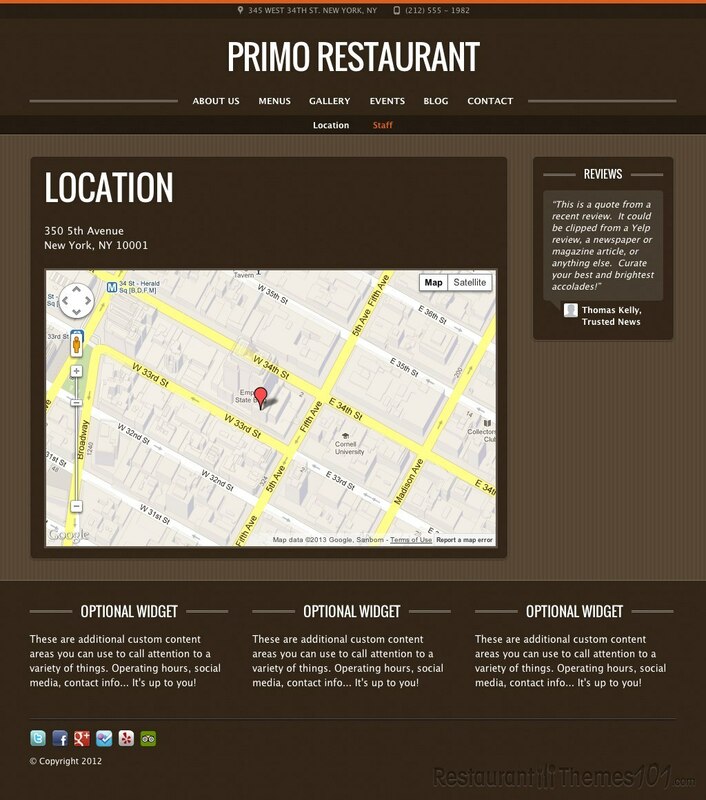 Primo is fully SEO optimized, so you can be sure you will be seen and easily found on Google.